Something as simple as optimizing your print environment could save your business money while simultaneously improving productivity and efficiency. 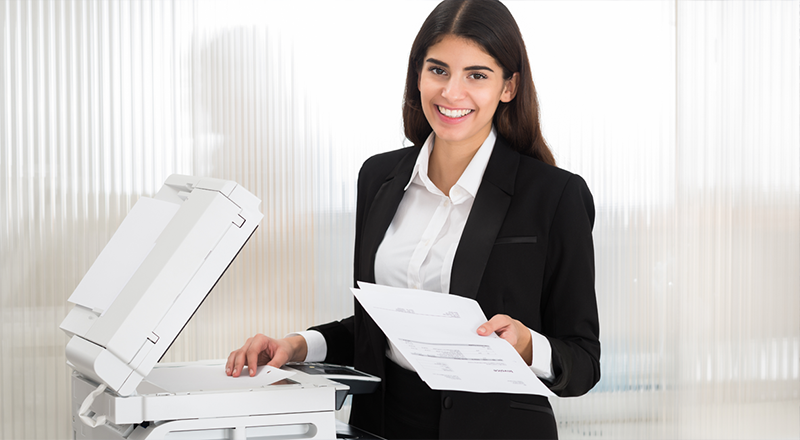 Unmanaged printers can cost your business money—as much as 3% of your total business revenue. Managed Print Services can help eliminate unnecessary printing and wasteful behaviors so you’re not pouring money down the drain. Managed Print Services (MPS) is a program designed to help businesses save on printing costs and regain control of their print environment. Instead of just adding printers to your fleet, MPS strategically redesigns and optimizes your print infrastructure, while also managing all aspects of printing—including hardware, supplies, service, consumables, parts, security, and software. All with the added benefit of only having to deal with one vendor and one invoice, which helps streamline operations for your admin and accounting staff. Call us today and see why you should trust us to monitor and maintain your company's needs. At Monster Digital, we make switching to MPS easy and painless. We use secure software that gathers information from your printer fleet to identify the best ways to enhance the performance and efficiency of your current print environment—all with the ultimate goals of reducing costs, saving time, and proactively maintaining your fleet. The end result is a healthy and effective printing process with reduced downtime resulting in higher staff productivity. We are a dedicated team of technology professionals who care about helping your business succeed. Whether you lease a single printer or utilize all of our Managed Services offerings, we consider every client to be a valuable business partner.